I’m here to talk to you about a frenulectomy procedure to correct a tongue-tie and my own personal experience with it. 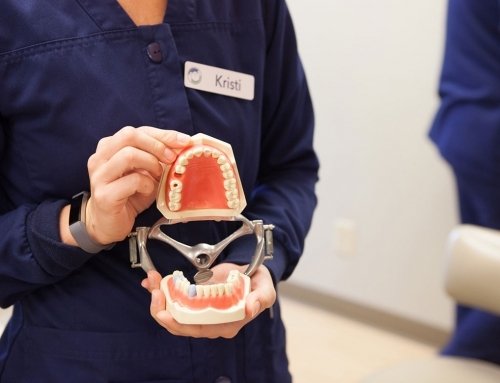 A frenulectomy (or frenectomy) is when the small portion of tissue that connects the tongue to the floor of the mouth is lasered or cut away so that the child, or adult, has more movement of their tongue. There’s no better feeling than holding your newborn baby. You’re so happy to take care of all their needs, regardless of exhaustion. You’re so happy they’re finally here. You try to breastfeed, but the baby isn’t doing well and you can’t figure out why. Latching is difficult, it hurts so much, and your baby isn’t gaining weight. You become more and more frustrated feeling like you can’t provide for your baby. This was how my experience went; my pediatrician then discovered my baby boy was tongue-tied. You don’t think about how such a small thing can make that big of an impact on you and your baby. In the beginning, having a tongue-tied baby can affect both mom and baby. The baby might not be able to fully latch, which can be painful for the mom. Breastfeeding is not supposed to be unbearable for the mother. In my own experience, my child was constantly hungry, he’d fall asleep breastfeeding only to wake up and want to feed again. You can imagine the level of exhaustion for me. I then came to the terms that I just was not producing enough milk, possibly due to his tongue-tie, which ultimately made me feel like I had no choice but to supplement. This was detrimental to my morale. Talk about the feeling of failure. This was all before I had been educated on the consequences of having a tongue-tied baby. Breastfeeding is just the first trouble you may have from letting a tongue-tie go. Babies can have trouble eating certain foods, could be delayed in speech and may deal with some serious dental needs in their future. Since starting the frenulectomy procedure here at the office last year, I’ve noticed a serious growth in how often people are coming to us specifically for the procedure now. It’s so good to hear more people being educated on this situation and pediatricians helping to refer parents and their tongue-tied children. If you have questions about tongue-tie and how the frenulectomy procedure might be able to help, don’t hesitate to ask the next time you’re in the office or give us a call. We’re more than happy to help!